Catalyst Society members are committed to personal, professional and philanthropic development in order to become outstanding leaders in Metro Denver. Members are invited to apply to this program by Mile High United Way leadership, Tocqueville Society members and/or Board of Trustee members. As you invest your time, expertise and philanthropic giving in our community, we invest in you. Members will build their professional networks through access to the Mile High United Way Tocqueville Society and Board of Trustees, will enhance their professional growth through targeted, expert-led curriculum, and will become active philanthropic leaders ready to effectively tackle the issues facing our community. Through ongoing engagement and a long-term investment strategy, Catalyst Society participants enter the program with a goal to become Tocqueville Society members. "People have a big heart for helping others, but may not know how to get involved. It’s easy to be overwhelmed by politics or world issues, but we need to remember that small actions can have a lasting impact. 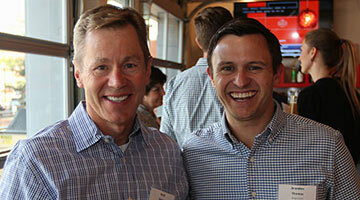 Mile High United Way pulls together and amplifies the contribution you make." 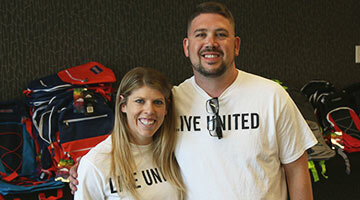 "[Mile High] United Way has shed light for me on the challenges our community faces... I was thrilled to learn about the Bridging the Gap program which helps connect young adults leaving the foster care system to supportive services. I had the opportunity to help some of these young people polish their professional skills through exercises like mock interviews. It was good practice for me too!" "I have built relationships with so many amazing people who share my desire to strengthen the Denver community and to give back to those in need. Through these relationships, I have grown both personally and professionally." Participation in Catalyst Leadership Series professional development program. Participation in Generations United, a mentoring program linking Catalyst members and Mile High United Way Tocqueville Society / Board of Trustee members. Each year, our Supplies for Success supply drive and volunteer event ensures that kids in our community start the school year prepared and ready to learn. 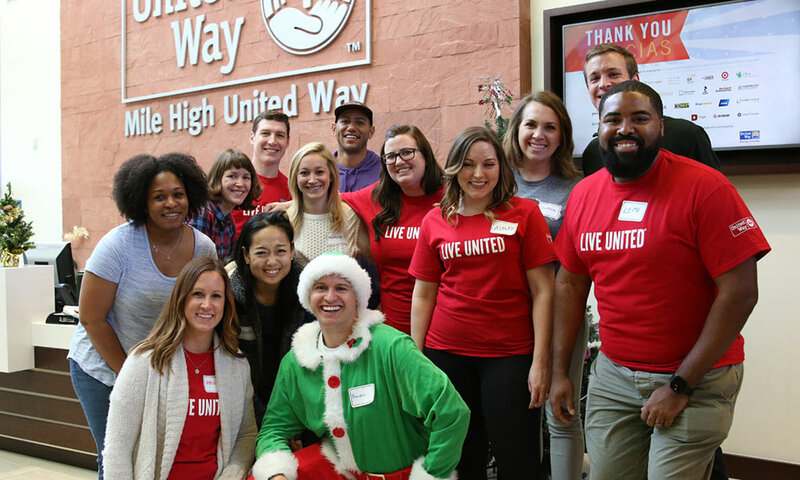 Mile High United Way Board and Tocqueville Society members provide guidance and mentorship to help Catalyst members develop into community and philanthropic leaders.